I love a good summer mag cover, don’t you? 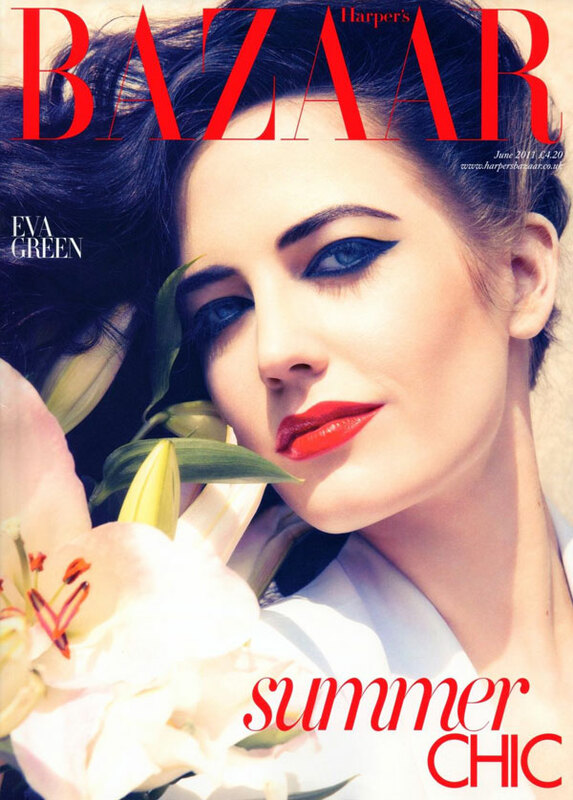 Eva Green by Camilla Akrans for Harper’s Bazaar UK, June 2011. Love how the lippy matches the text and echoes the colour of the lily anthers (those fuzzy orange bits that stain your crisp white shirt when you get too close to them). Also, note the shape of the eyeliner – it mimics the lily leaves. Great observations. It helps that Eva Green looks pretty damn good too. Love the eyeliner.